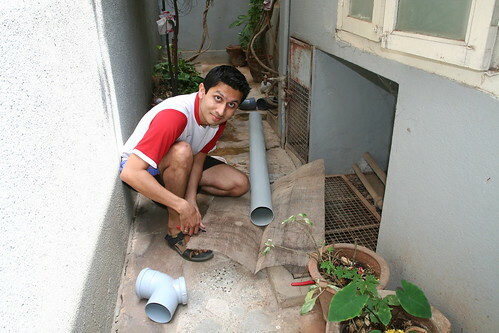 I have been wanting to implement rainwater harvesting at my home for a long time. Finally I did it today. It took me less than an hour to complete it. There are different types of rainwater harvesting. The one that I have done is putting the rain water back to the under ground water. Because of so many roads and houses, the rain water doesn’t go back to the ground anymore. It is mostly evaporated. We were very lucky to have a well in our house. It was all about filtering the water a little bit and leave the water to the well. 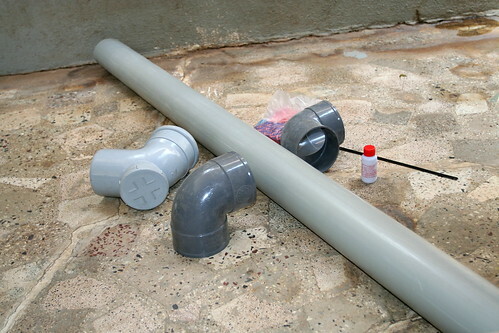 Install the filter in the pipe. 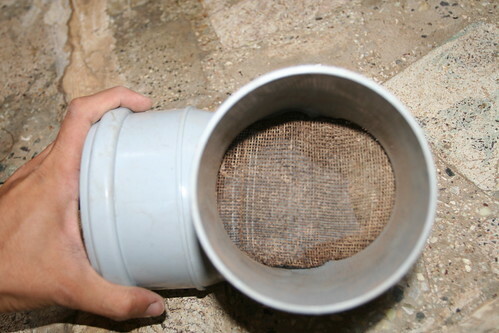 This will block all the leaves and other suspended particles from entering the well.